When it comes to surfing the Internet with iPhone, many iPhone users will take advantage of the built-in Safari browser. The app provides optimized user interface and surfing experience so that iPhone users like Safari a lot. But speaking of importing bookmarks from computer to iPhone, many iPhone users will feel confused. As a matter of fact, if people want to know how to import bookmarks from computer to iPhone, they will need to export bookmarks from their Internet browser to computer folder first. Then they are allowed to import bookmarks from computer to iPhone. 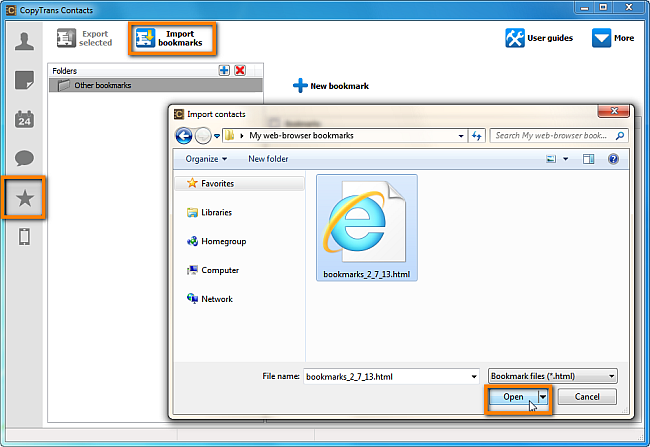 If users are using IE on their computer, they can export bookmarks to computer easily, and get an HTML file in the target folder. 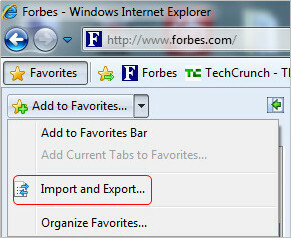 Follow the steps below to export IE bookmarks to Computer. If you are using Google Chrome, you can press “CTRL + SHIFT + O” on your keyboard when inside Chrome in order to enter your Bookmark Manager. 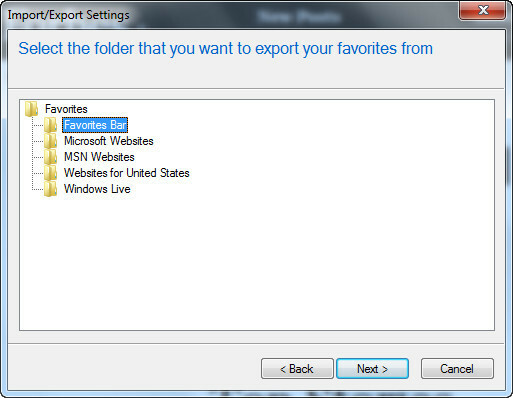 Next, click on “Organize > Export bookmarks to HTML file”. 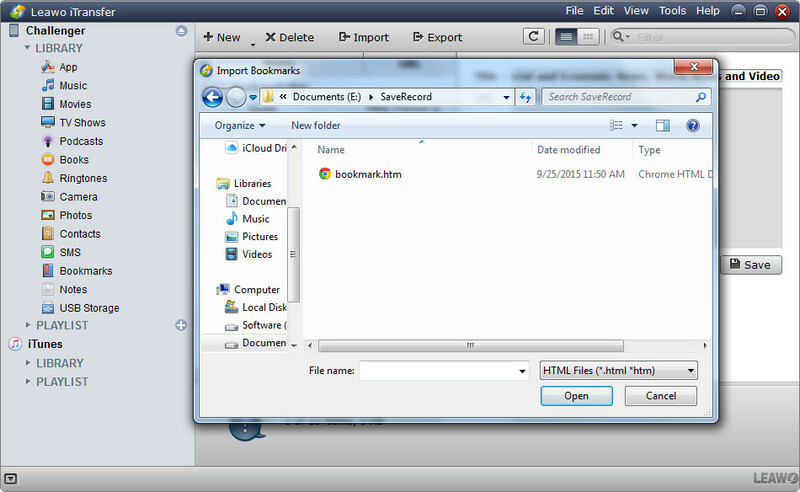 Then you are able to store bookmarks on your computer. 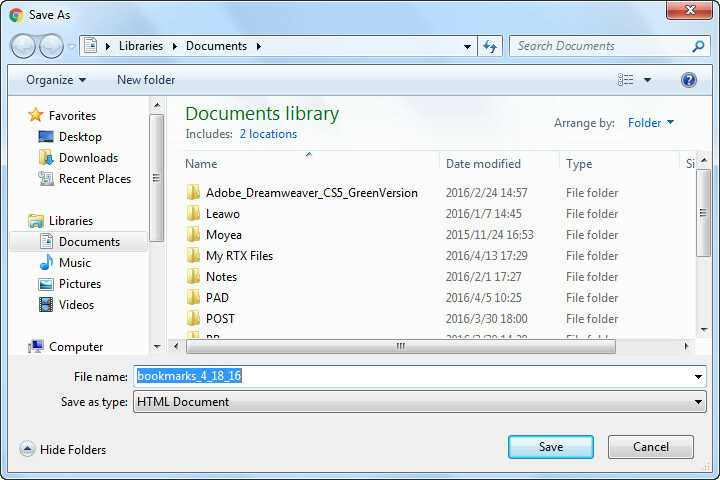 After exporting bookmarks from IE browser or Google Chrome browser to computer, people will find the exported HTML file in the target folder. 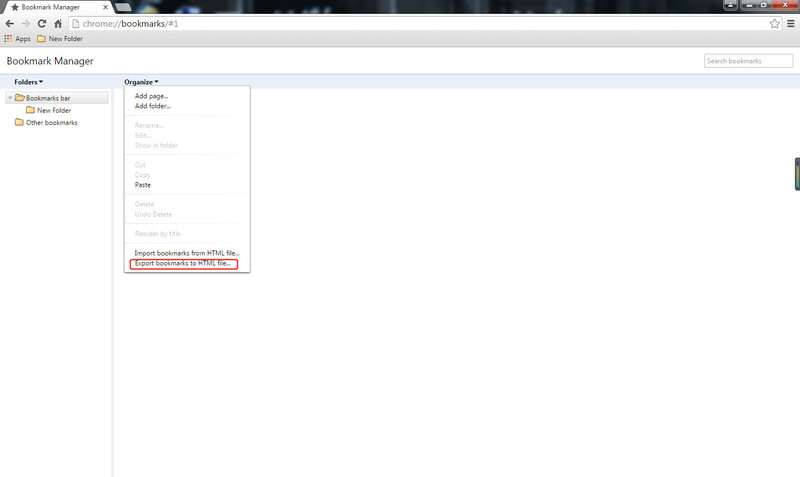 And they can take advantage of the HTML file to view the bookmarks with other Internet browsers. 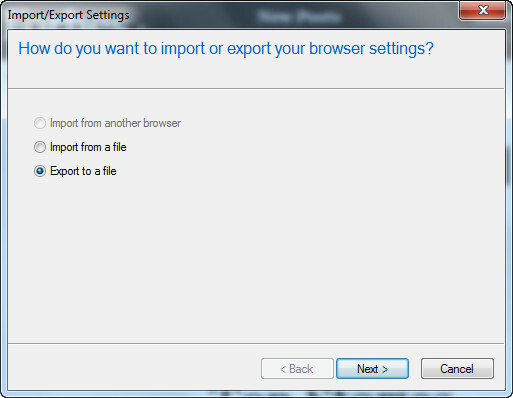 So this exporting feature of IE is very helpful for those who use several Internet browsers. And now you can get ready to import bookmarks from computer to iPhone. If people only have several sites to save, they can manually add them to Safari in their device. If they have tons of bookmarks to save, iPhone users can also take advantage of the iPhone transfer software to finish the task. The next part will introduce two powerful iPhone Transfer Software to finish the task. CopyTrans Contacts is the safe and easy solution to manage sensible iPhone data. In no time at all you will save, edit and transfer your iPhone contacts, messages, calendars, notes and much more. The following guidance will show you how to import bookmarks from computer to iPhone with the software after you export them to computer. Step 2. 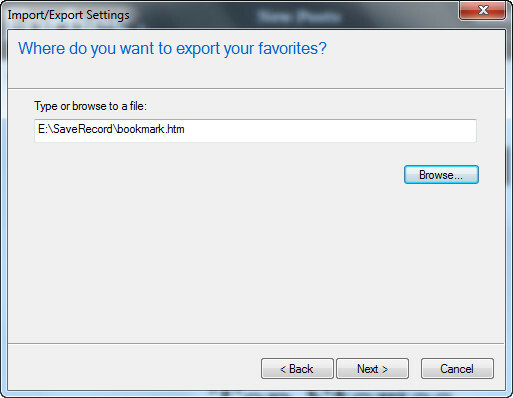 Click “Import bookmarks”, navigate to the location on your computer where you saved your bookmarks, and click “Open” to import bookmarks from computer to iPhone. Leawo iTransfer will provide much help on this issue. This software is used for transferring files among iOS devices, iTunes and computers, and it allows users to add non-purchased items from computer to iPhone, iPad and iPod. The following guidance will show you how to import bookmarks from computer to iPhone, and you can free download the software to have a try. Step 1. Run Leawo iTransfer and connect iPhone to computer with USB cable. Click the name of iPhone and choose Bookmarks in the left sidebar. 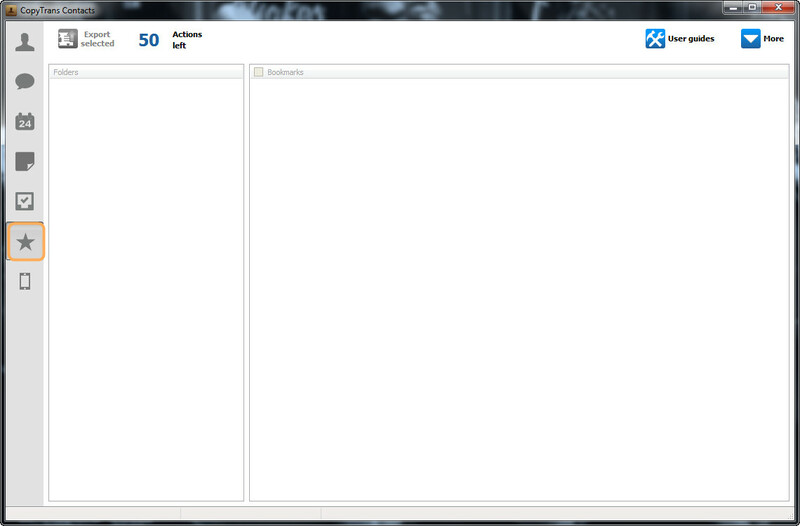 The folders of bookmarks will show up in the right part. Step 2. Click Import in the top middle to add bookmarks from computer. Locate the IE bookmarks and click Open. Then the software will start importing bookmarks from computer to iPhone. When the importing process is finished, you’ll get the folder of your IE or Google Chrome bookmarks in your iPhone Safari browser. And the two iPhone transfer software also support to import bookmarks from Chrome, Firefox and Opera to iOS devices. With this powerful iPhone transfer software, people can import bookmarks from computer to iPhone with no efforts. Let’s have known the method to export bookmarks from Internet browser and import them from computer to iPhone in the above parts. Obviously, Copytrans Contacts and Leawo iTransfer can help users to easily finish the task. 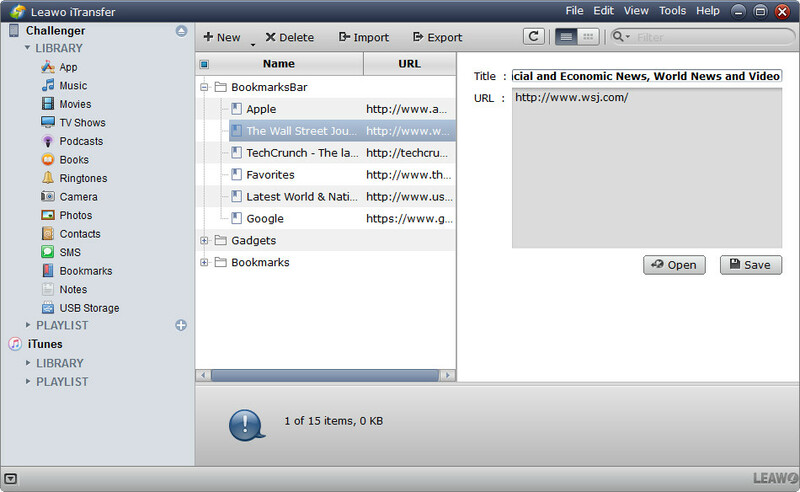 Excepting importing bookmarks from computer to iPhone, the two software also have other useful functions. The following table will show you the difference between the two iPhone transfer software.